The Japanese hi-tech company generated a loss of 500 million Yen (or $4.6 million U$) in the 2017 fiscal year for the division. They will effectively pull out of the market to stop the bleeding. It is quite sad to see a company that created the EX-F1 and the excellent EX-FH20 eliminate their entire consumer camera division. Could things have been different and could they have avoided the phone camera erosion that has obliterated the sales of most manufacturers? Our only thought would be that they did not innovate fast enough to remain competitive for the consumer to be a real alternative. Casio was on a roll in 2008-2010 with the introduction of their new high-speed camera line which was first to record 1080p 60fps and up to 1200fps at reduced resolutions with the EX-F1. It was for a while the only game in town when it came to a truly affordable slow-motion solution for the common videographer. There were a lot of constraints when it came to real resolution and artifacts but these cameras were a milestone of miniaturized technology and what could come after if they had continued development. But Casio seems to have lost its way after that initial big push. Many fans of the camera line expected more resolution to supplement the frame rates and maybe make a jump to HD 720p at 480fps which would have cemented the camera line as a true performance speed demon. Now that we can see the whole picture from beginning to end for these Casio cameras, it is clear that they rested on their laurels while technology advanced past them. Companies like Sony not only caught up but went ahead and improved on the slow motion high-speed performance in both stills and video with the Sony RX line and their excellent RX100 V and RX 10 IV which earned our top marks last year. Those cameras rely on better/faster technology with a stacked CMOS sensor technology that is now becoming commonplace in the premium smartphone space. We can’t help but feel nostalgia when looking back at the Casio brand and see the missed chance at dominating the high-speed market. They produced excellent cameras that were so far ahead of their time back in 2008 that they could have improved at a reduced clip for many years and still be ahead of the pack. They wasted that future by creating unmemorable cameras with watered down technology. The positive side of all this is that we now have cameras like the Sony RX line, Panasonic Lumix Line, Sony & Samsung Smartphones with 960fps and professional slow-motion cameras like the edgertronic and Chronos 1.4c to fill that void . Previous PosteBay Slow Motion Camera Listings April 2018!Next PostKrontech Gets a Visit From Linus Tech Tips! The Casio EXZR-1000 was my first high speed camera able to deliver 120/240/480 and 1000 fps footage. The resolution is not impressive according current standards but it has a very friendly price tag. 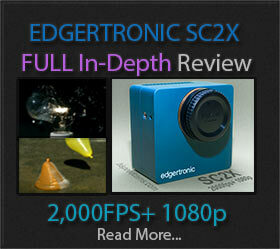 I used it a lot to get to know what to expect from different frame rates. I was always hoping that they would make a comeback with a model able to deliver high quality 480/500 fps. 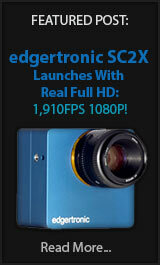 Now lets see which other camera will appear this year, allowing to record at such frame rate. It is a shame Casio did not continue development of these cameras. Thanks for sharing your experience Klaus! It used a Sony sensor. What innovation? Sony giveth, and they receive as long as Sony giveth, otherwise. The constrictor here is the developer and supplier of the technology. Otherwise we would have 8k versions, maybe even high-speed. Complain write to and protest at the true developers door.